A new and automated ultrasonic assembly line reduces danger of bacterial contamination – no more sewing lines and less fraying. Herrmann Ultrasonics has developed this approach to deliver complete ultrasonic laminating and sealing steps for a new and patented abdominal swab “texart” by Portuguese medical producer Bastos Viegas. Previously a complex sewing process with ample manual handling steps was used to produce the swab; the new swab enables “automated roll-to-finished-products assembly”. The latest material configuration developed and patented by Bastos Viegas – “texart” is made of three layers, using the best of woven and nonwovens technology. 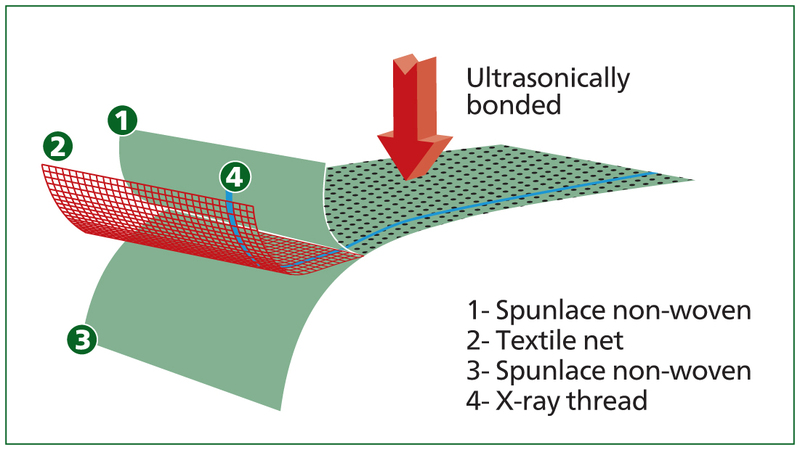 A textile net in the middle (made of Polyamide/Polyester) with an x-ray thread is placed between two layers of spunlace nonwoven (70% viscose and 30% polyester). The wrinkled surface of “texart” increases the absorption rate and produces a soft sponge-like feeling. Linting is defined as the release of fiber fragments and other particles during handling and use. 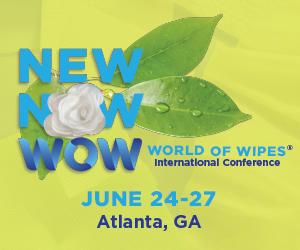 Low linting is one of the biggest advantages of using non-woven spunlace materials instead of cotton gauze. In a test, release of particles (dry linting) according to EN1644-1 and ISO9073-10 was verified. 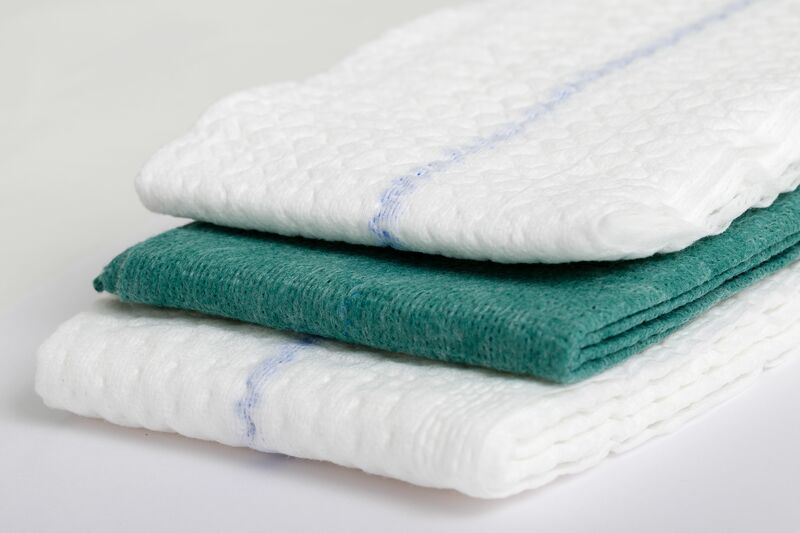 The result shows a better performance for “texart” in comparison to prewashed gauze. By choosing ultrasonic technology Bastos Viegas solved the question – “How to bond the new material without heat and consumables”. Spunlace nonwovens react extremely well to ultrasonic vibrations. Herrmann Ultrasonics was chosen as a partner to develop a new machine concept for the new product. Correct unwinding of the three layers had to be designed and then ultrasonic steps had to be incorporated. Finally the product will be cut, folded and stacked. After assembly, during the sterilization process the material will contract, resulting in the wrinkled surface that establishes a good absorption rate and soft feel. For more information visit Herrmann Ultrasonics at Hygenix 2017, November 6-9, or visit the website at www.herrmannultrasonics.com for the latest ultrasonic news.